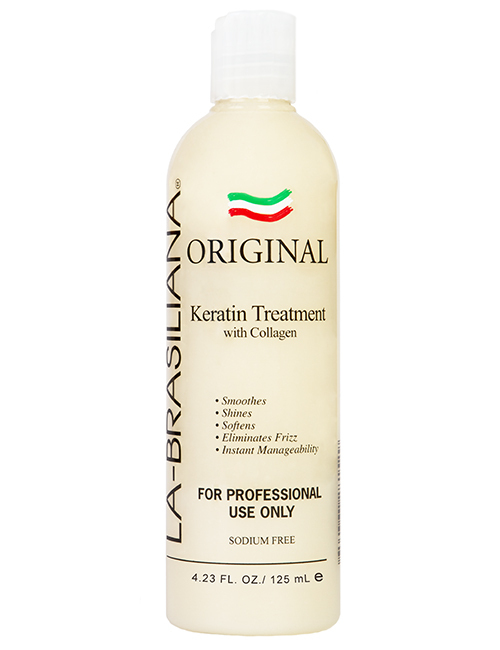 A multipurpose formulation that acts by protecting existing disulfide bonds as well as reconnecting broken ones caused from excessive bleaching, over-treatment, and extreme flat iron use. Its innovative composition provides increased enhanced performance, outstanding softening, shine and improved wet and dry combing performance. Olio Di Morocco Plex protects the bonds from initial breakage and repairs broken bonds from severe damage. 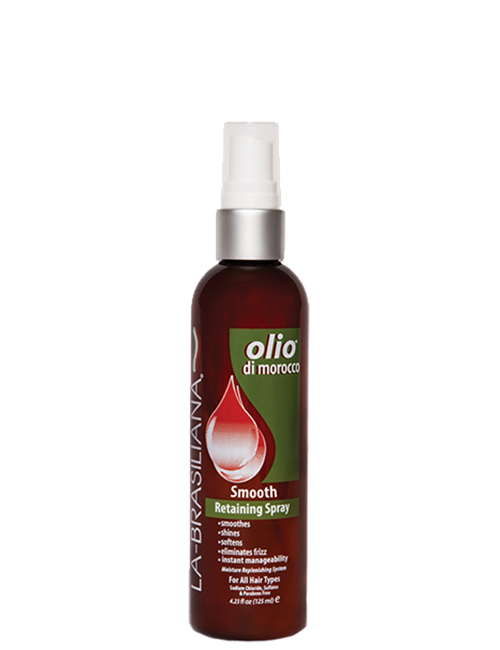 Utilizing sugar chemistry, Olio Di Morocco Plex has a unique multifaceted mode of action which penetrates deep into the cortex to create new hydrogen and ionic bonds which support the damaged internal keratin structure and strengthen and provide manageability back to the hair. 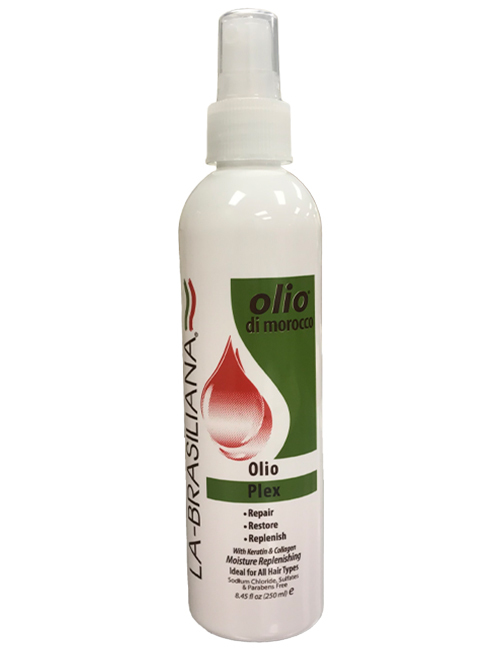 Olio Di Morocco Plex also contains a multifaceted Hydrolyzed Vegetable protein based complex which acts on all of the three fundamental parameters of hair strength: tensile properties, bending and cuticle abrasion. The unique chemical composition of this protein allows it to penetrate into the hair cortex, building strength from within, while providing film forming effects to reinforce, lubricate and protect the surface of the hair. These properties combine to strengthen the hair, thus, helping to reduce the degree of damage hair sustains from chemical treatments, environmental stresses or styling practices. 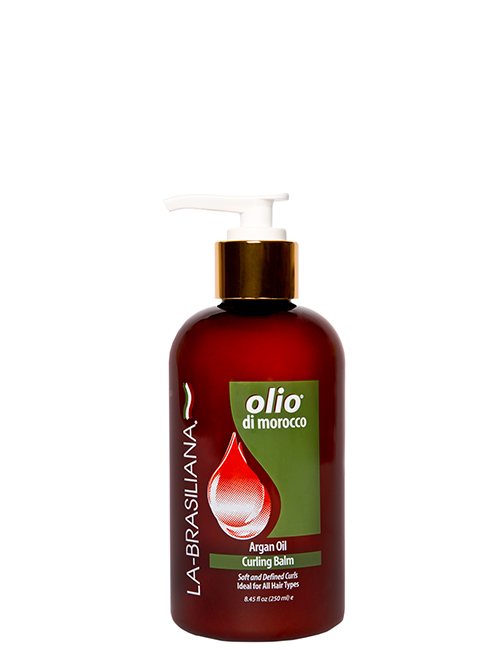 Olio Di Morocco Plex is free of: Formaldehyde, parabens, gluten, sodium chloride (salt) and animal or animal derived ingredients.